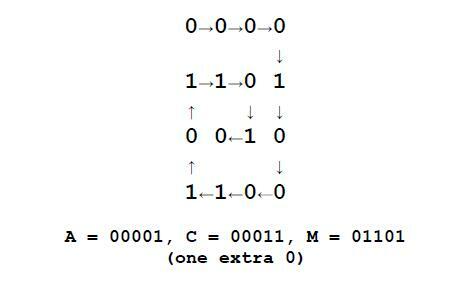 a space, and a string of binary digits that represents the contents of the matrix (R * C binary digits). The binary digits are in row major order. should throw away any trailing spaces and/or partial characters found while decoding. 입력 데이터에 문제의 제한 조건을 어기는 테스트가 있어서 수정하고 재채점 돌렸습니다. R*C가 5보다 작을 경우에도 예외처리 해야하죠?